Los Angeles, CA, August 25, 2016: From last week working in Milwaukee and Knoxville, to this week working in another stadium! Mark Sonder, MM, CSEP Emeritus and Chief Entertainment Officer at the award winning booking agency Mark Sonder Productions, Inc. is proud to announce another engagement with Major League Baseball and the Los Angeles Dodgers in Dodger Stadium (vs. the Chicago Cubs) this Saturday, August 27. The On The Air Band will be performing for 2 hours prior to the game. 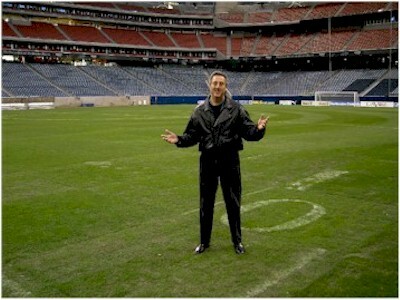 Super music agent Mark Sonder, whose company has been engaged to perform in numerous stadiums across the country and as a featured speaker at the International Stadium Managers Conference has commented "Performing in a stadium environment is not for everyone. It takes years of knowledge and experience to pull it off without a hitch." "We were delighted to be asked back to Dodger Stadium for an additional performance with another one of our fine local products," said Sonder. Mark Sonder Productions, Inc. services all major population bases around the US with its local, regional and headline entertainment. The company is no stranger to large events or to Los Angeles where the company has been contracted at L.A. LIVE, The Montage, Beverly Wilshire, The Westin Mission Hills Resort & Spa in Rancho Mirage and the Bighorn Golf Club in Palm Desert. As an award winning event entertainment producer, booking agency and talent buyer, the 31 year young privately owned firm Mark Sonder Productions Entertainment Agency has provided musicians, headline entertainment, onsite entertainment staff and production services to leading corporations, clubs, concerts, casinos and special events internationally.